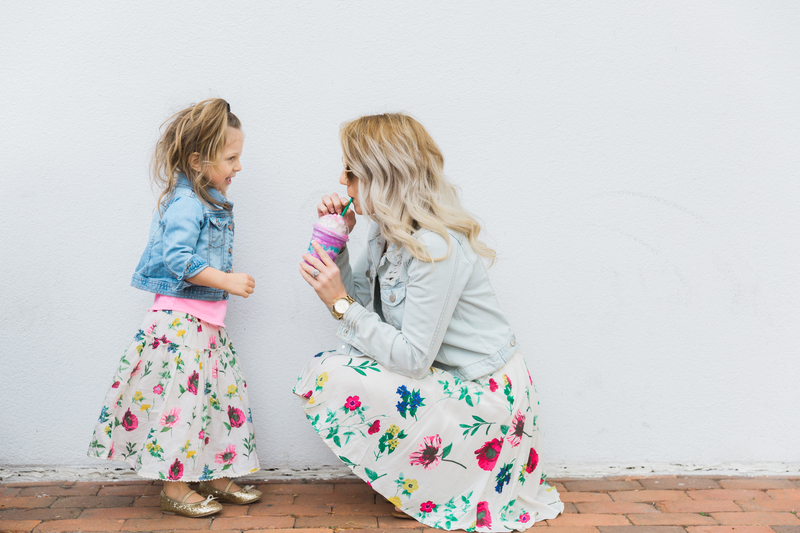 Mommy and Me Style + One-on-one time. 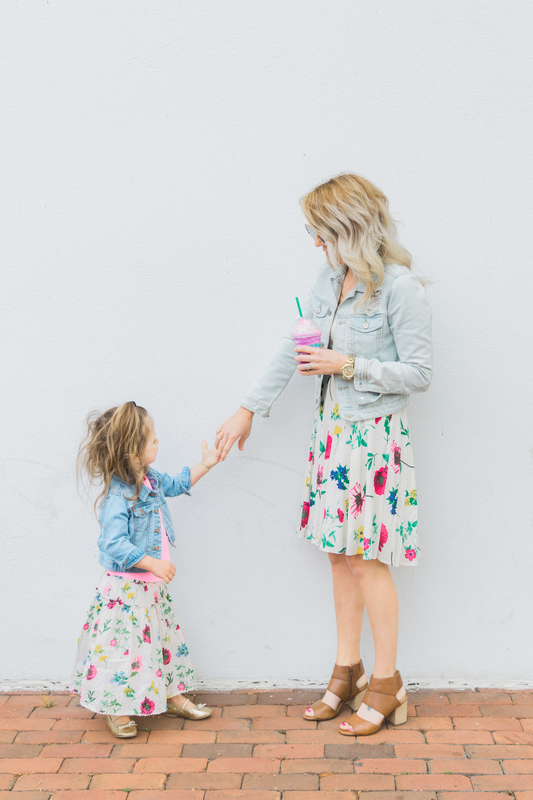 One of my favorite parts about shooting mommy and me style outfits with my little one? One-on-one time. When I went to see a child behavioral therapist (more coming on that soon), one of the questions she asked me was how much one-on-one time I spend with each kid. And to be honest, it’s not a lot. 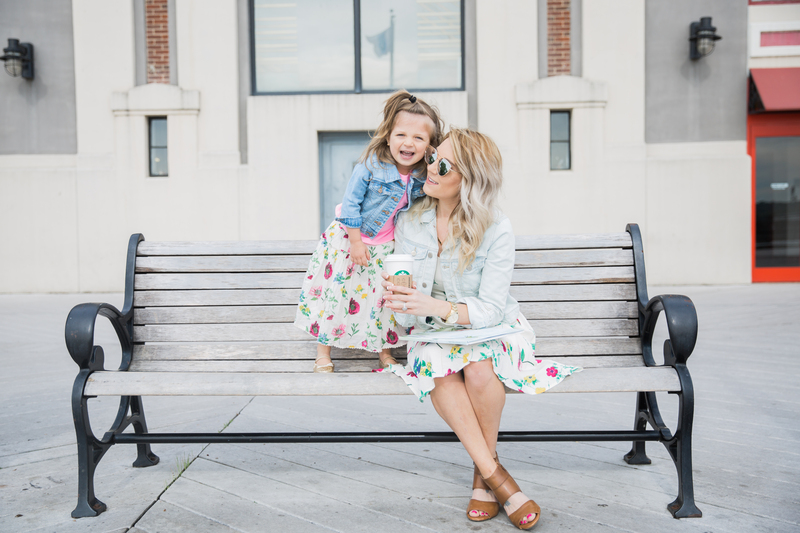 Life has been so hectic recently and when there’s only one mom and two kids, splitting attention can be hard. But I can’t stress how important it is. I sometimes forget that for two whole years, my son had my undivided attention. Lady has always shared the spotlight with her brother so she knows no different. But N? Things changed when his time as an only child expired. And that’s so easy to forget. One of my goals at the beginning of the year was to have a “date” with each child, once a month. P and I get a lot more alone time since N is in school but still, I’m usually working during that time and she’s playing or having quiet time. So that doesn’t really count. 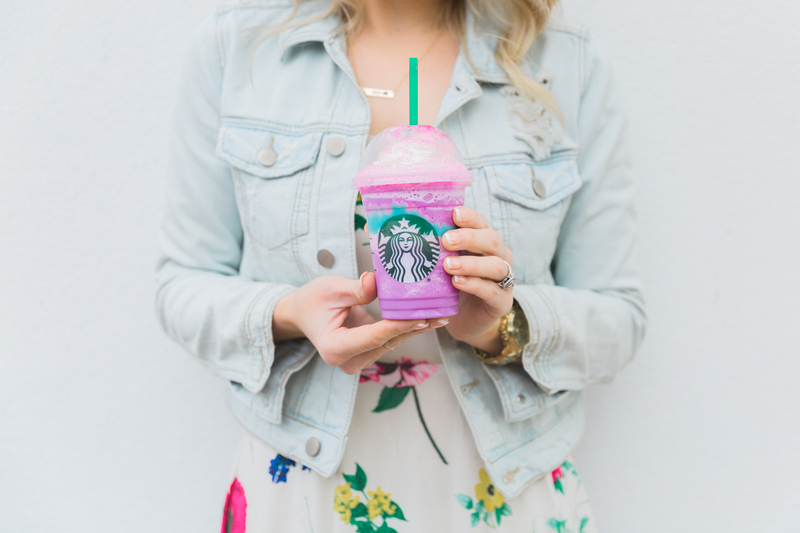 So last weekend, we went to Starbucks, took a walk, read some books, and went to brunch with my friends. It felt weird only having one of my crazies with me but I know that she enjoyed the time alone with her mama. 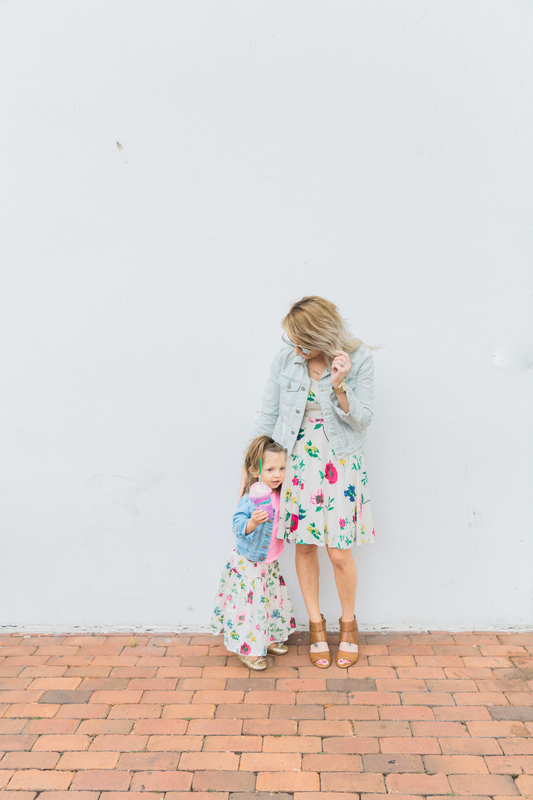 I wanted to find some super cute spring outfits for us to wear; we have a TON of weddings, showers, etc this year and coordinating with her is always so much fun. 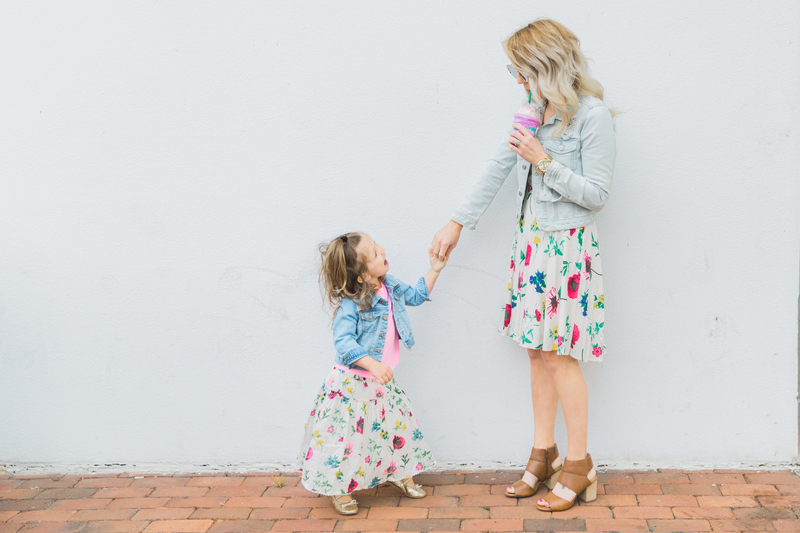 Her skirt, top, and jacket and my dress came from Old Navy, which I’ve found has some of the best mommy and me coordinating pieces. My jacket, which I’m obsessed with, is from Forever 21. I can’t believe how big she has gotten and it just makes me sad. Sometimes I am so pre-occupied with everything going on in life that I don’t take the time to really spend it with my babies. Who are no longer babies. And they’re only getting bigger and bigger. 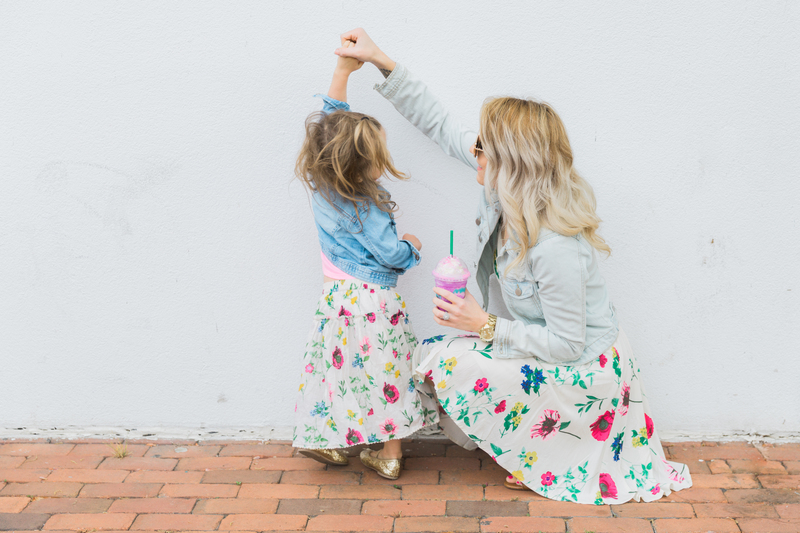 Soak up these little moments up, mamas. 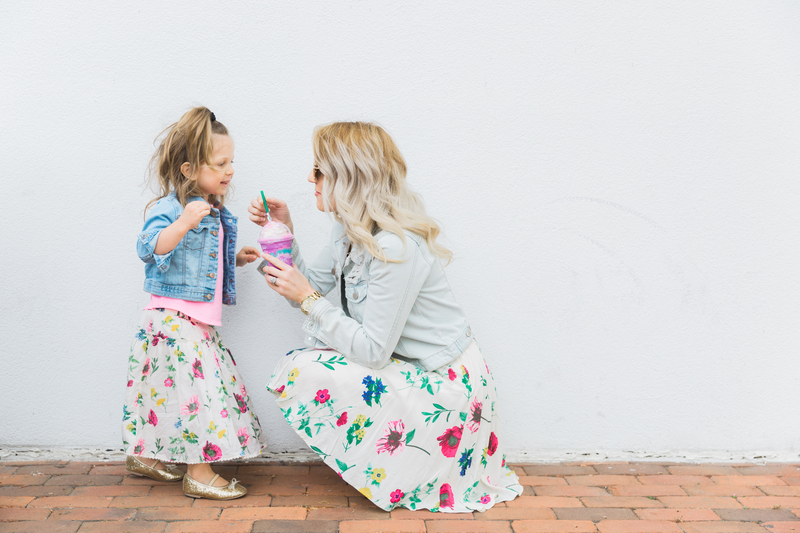 Spend one-on-one time with your littles if you can. Even if it’s 10 minutes a day, it will make such a difference. I’ll be taking my own advice, that’s for sure. Because time isn’t slowing down and since I can’t stop it, the next best thing is to make the most of it. 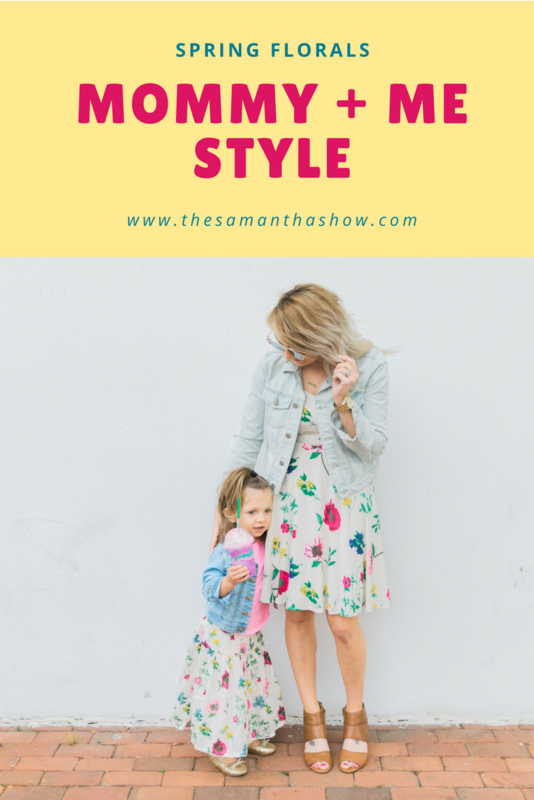 What’s your mommy and me style?? Matchy matchy or coordinating?? 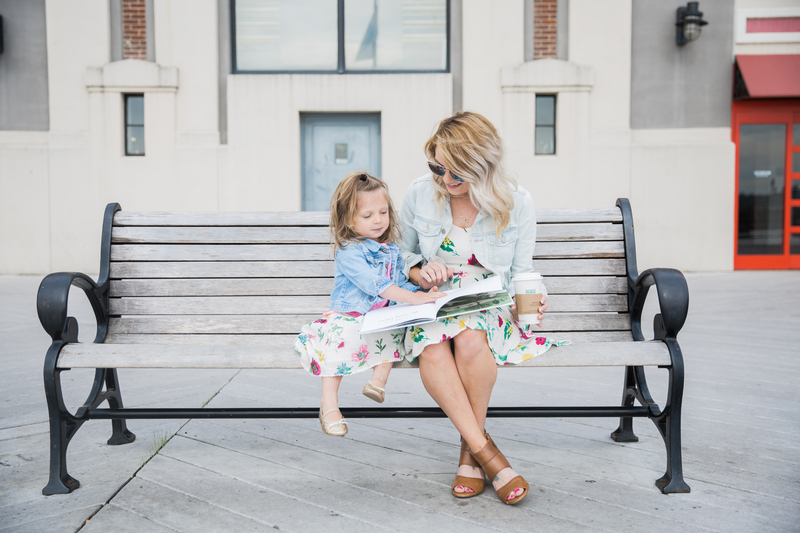 How do you spend time with each child? 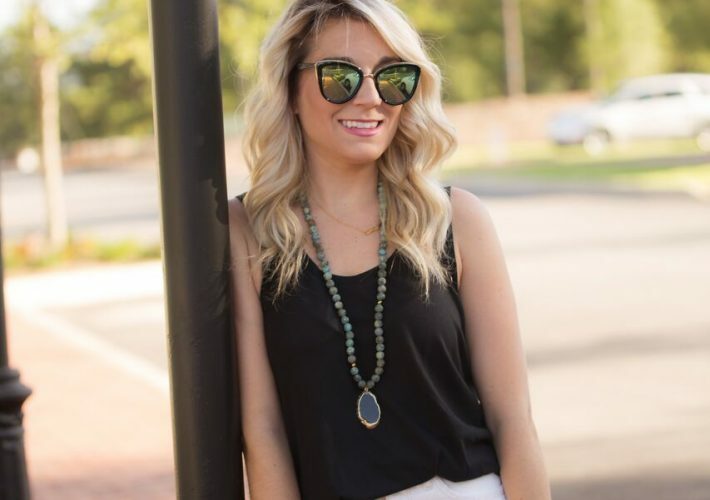 Bringing another kiddo into the picture can definitely cause lots of riffs with the oldest! I’ve learned I have to spend lots of time with Annabelle whenever Ailey is asleep! this is so cute! my uterus only produces boys, so we always coordinate. if I could, i would totally match my offspring every single time because i think it’s darling. 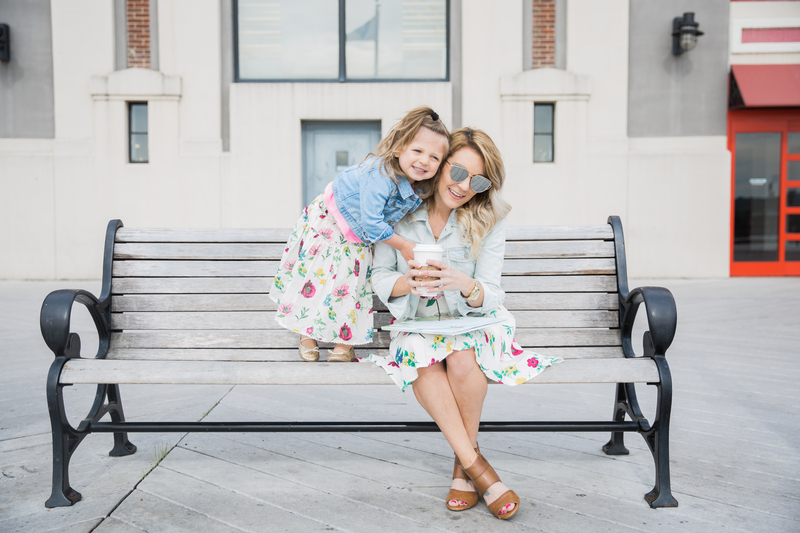 i think having “dates” with your kids is super important – you can spend all day with your kids but actually getting to know them is totally different! You guys look absolutely adorable! I can’t wait until my little one is old enough to do fun mommy and me photos like this. Thank you so much! It’s so fun!